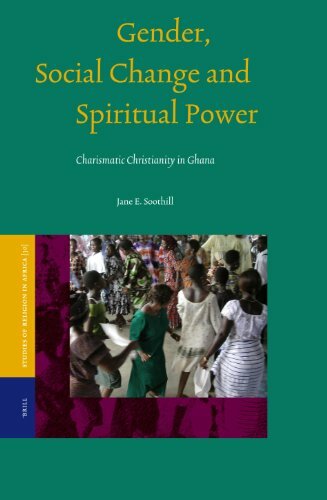 Charismatic Christians in Venezuela and Ghana. Years of skilful interviewing by David Smilde of the men in two churches in dangerous parts of Caracas, Venezuela, conducted during the period just before Chavez, confirm what investigations have shown from Kingston, Jamaica, to Accra, Ghana, and points east. Evangelical, charismatic, and in particular Pentecostal Christianity offers visions and revisions of lives changed for good, spiritually, morally and (so far as may be, given the changes and chances of life) materially. Of course, some fall by the way, because things don't to work out as hoped, or else they are pulled back into old ways by boon companions. Most encounter experiences which try them "as gold in the fire," and getting right with God may turn out easier than getting right with a wife or partner. All the same, there is enough evidence of some betterment affecting all the interlinked dimensions of life to vindicate Providence in the eyes of believers rather than the influence of fortuna and fate. Even when sorely tried, Pentecostals turn to ancient, indeed biblical, ways of searching out the ways of God: for example, that he is teaching his children through adversity, that his ways are not as their ways, that their way of life has somehow been displeasing in his sight, and that the goods of this world corrupt our treasure in heaven.